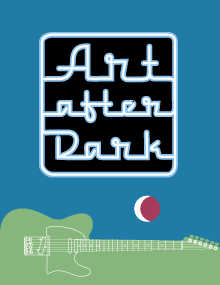 Now in its eight year, Art After Dark integrates various art forms on the museum grounds, introduces children to MMoA’s programming, and provides regional artists a forum to showcase their work. Weather permitting, the event is held on the MMoA patio. Admission is $12 MMoA members; $15 non-members; $3, children ages 4 – 12; and, free for children three and under. Season passes are also available: $60 MMoA members; $75 non-members. Sponsors: ABC PhotoLab, Captain Daniel Packer Inne, CMB Creative Group, Coca-Cola, Cottrell Brewing, Grover Insurance, H&H Distributing, Hosmer Mountain Beverages, Mystic Shipyard, Mystic River Mudheads Sailing Association, Noank Village Boatyard, Pizzetta, Sails Up 4 Cancer, The Real McCoy; Malloves Jewelers; Mighty Swell Beverages.